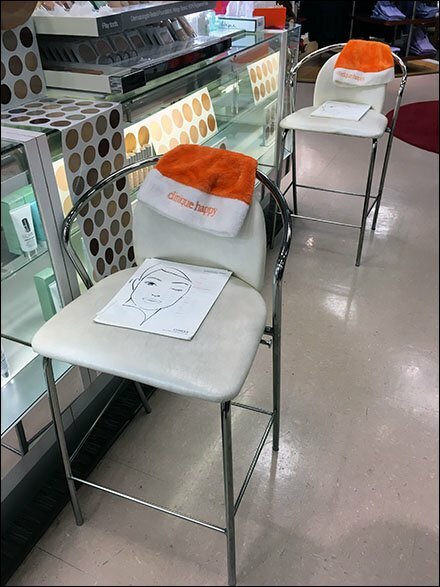 Unique color for the Holiday Season are these Orange Elf Caps dressing up Clinique® cosmetics stations. Workforms and seats at the ready, all that was missing were the clients. But I was passing through at store opening so I am sure shoppers are on the way. Step through the gallery to zoom in on the scene. Follow Clinique Happy Elf Caps immediately below.